"Tim and I would like to thank Crystal for working with us and Bella. We greatly appreciate her efforts in assisting us with Bella's behavioral issues. Our cats and Bella are now co-existing. Over the week-end, she and an our youngest and smallest Persian actually sniffed noses! We look forward to addressing her focus issues on our walks. Thanks Karen"
"Very good training class at just the right pace for both myself and my dog. We both learned a lot. Thanks very much." Service: Private Lessons Rated 10 on a scale of 1 - 10 "Excellent Job training me and Katie!" 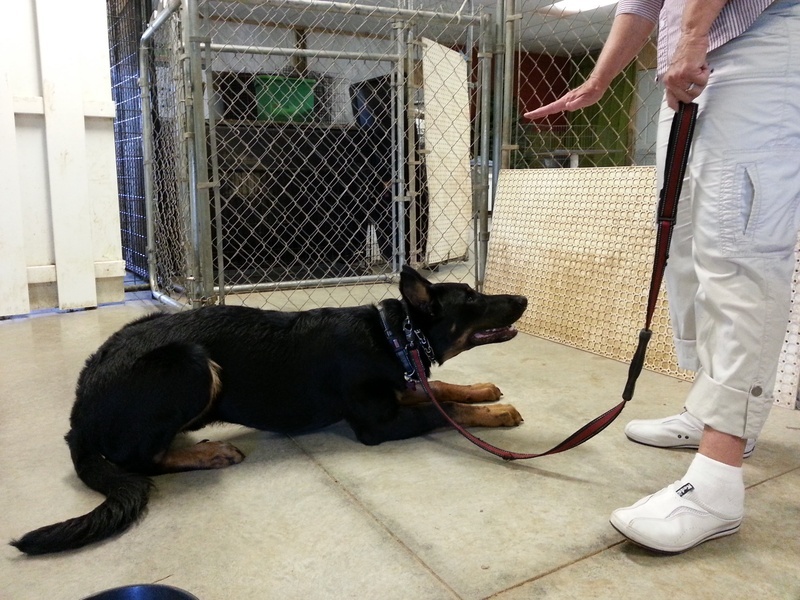 "I am very happy that Sadie and I participated in training classes with Crystal. She is a very knowledgeable, encouraging and effective trainer." Rated 10 on a scale of 1 - 10. For those of you that have not had a training class with Crystal, you are missing out! Not only does she have her classes organized, but she can also be flexible with her topics to address specific problems during class. I can't wait for the next level of classes to form so that Zelda and Will can learn the correct way to do agility! Without hesitation, I would recommend Crystal Hidy as your next dog trainer! I have owned dogs all my life, but until this dog had never participated in dog training classes. What a difference having professional help makes! Crystal has made the training process fun and engaging for both myself and my dog. She is always prepared and does a complete job of explaining the how and why of each command. My dog is now nearly 9 months old and we have been training with Crystal since he was 12 weeks. Her training process has helped me know the importance of socialization and how to set timely, realistic goals. Crystal's love and passion for dogs is evident at every session. If anyone in the class is having a problem area with their dog, she always takes time to help them work through it. Dog training is a lot of work but the payoff is exponential. When we receive an invitation to friends homes, it is not uncommon to have our dog included with the same comment each time, "He is so well behaved! We like having him visit." How many people can make that claim with a 75 pound, 9 month old puppy? Thank you, Crystal! Hektor and I look forward to future training with you. Tinky is a very strong-willed Rat Terrier mix. She didn't listen, mind me, tugged when walking, and ran away every chance she got. We've been through Crystal's training twice and she's a different dog now. It's been great for both of us. Crystal is a dog whisperer in my opinion. "The trainers (Crystal Hidy and Aunjel Thomas) were fantastic... I honestly cannot think of anything (to improve). Locations were helpful the lenth of class was ideal, and I can not say enough about the trainers." What is the overall impression of this course (Basic Manners)? "Excellent"